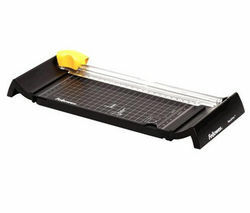 Laminators are an easy way to protect and preserve all of your important documents, photos and paperwork. They're available for the home or for business use, in a range of styles and sizes. Slip your document or image inside a laminating pocket and feed it through a laminator for a sealed, protected, gloss finish. Keeping your documents and images durable and wipe clean, lamination also improves the appearance of printed materials, deepening and brightening colours and improving contrast. Available in a range of styles, our compact laminator range can handle A3 and A4 paper sizes, and heating times take from just 1.5 minutes. 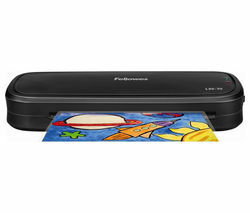 View our range of Fellowes laminators for A3 and A4 laminating options, and machines that heat up in just 4 minutes. Audio and visual indicators let you know when the laminator is ready to go. Anti-jam ClearPath mechanisms ensure smooth paper feeding and prevents jamming, while temperature controls monitor heat to ensure optimal laminating temperature is maintained. Whether it’s for occasional home use for those important documents and photos, or everyday business use, laminators are a compact, easy-to-use way to create a professional touch. Check out our full range of office supplies for money-saving laminator pouch packs too.